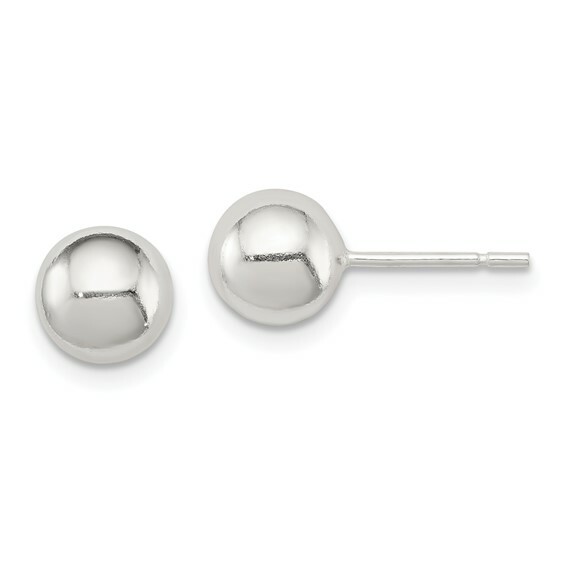 Polished 7mm ball earrings are made of sterling silver. Friction backs. Weight:1.37 grams.